This time, players can use communication features in the game to show each other the unique houses they have made. HH Showcase where you can check out homes belonging to people you have encountered via the StreetPass feature, just as you would view a show home. When we came up with this idea, we wanted to make it so it was as little trouble as possible for players to make use of this feature. Exactly. In the end, we made it so all you need to do is have StreetPass switched on. Dream Suite run by Luna, which we touched upon earlier. Well, a fair while ago, when you originally announced the Wii, you explained the concept of WiiConnect249 and gave the example of a friend coming over to play while you’re asleep.9. WiiConnect24: A Wii network service that is always connected to the internet, allowing automatic downloads of the latest news and other messages. Please note, the WiiConnect24 service is not available in South Africa. Ah, yes. That’s right. That was the first thing I wanted us to try when we made WiiConnect24. It was something I wanted to include on the Wii game, but there were all sorts of constraints which meant that we couldn’t do it, and I’ve regretted it ever since. This time, we finally managed it, so if you upload your town’s data to the server, someone can simply drop by to play while you’re sleeping. We pitched that as a kind of dream world, so we made the place where you have these dreams into the Dream Suite. It’s a dream world, so whatever you do in a town you visit won’t leave any traces or after-effects for the person whose town it is. Right. 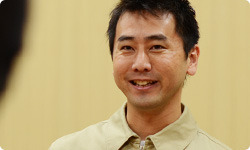 If someone sees your town and messes it all up, it’s just a dream, so there will be no changes to your town in reality. With such a safe way for others to see your town, there’s no need to exchange Friend Codes10. We wanted an easier way to just leave your town open and let people see it more easily. The Dream Suite means you can go to a complete stranger’s town, and they can come and visit yours.10. Friend Code: An ID allocated when a Wii, Nintendo DS or Nintendo 3DS owner connects to the Internet. By exchanging Friend Codes, players can play specially designed games together online. Also, if they are willing to give out their designs in the towns you visit, Wendell can give you the designs that you like. go on all kinds of tours there , which are like mini-games, via a process of random matching. So you will be randomly paired with someone you don’t know, and you can play together. Correct. But of course, it doesn’t have to be a stranger. You could invite a friend, or take a tour by yourself. But we did make it so that it would be simple for someone who doesn’t have a friend playing to take part. It’s not like this takes place in your town… it’s on a separate island. So you don’t have to worry about any damage being done to your town. Right. We’ve always wanted to ensure that players can communicate safely and securely, and I think we have achieved that this time. And close friends can still come and go between each other’s towns, as they have up to now. Yes. In addition to friends with whom you have exchanged Friend Codes, you can register other players as ‘best friends’ in the game, and there are exclusive communicative elements you can share with them. Can you explain more about these ‘best friends’? Well, let’s say you have a copy of the game and play together with your family. This means that four of you can play, as it has been in previous titles. But only one of you can be mayor, while the others will be regular townsfolk. There might be four people playing, but they will share the same Friend Code, as it is assigned to the Nintendo 3DS system. That means that someone in the family might visit a friend, but then meet someone there who they don’t know at all. We were worried that this might feel awkward. It would be a shock if your friend’s mother, let’s say, whom you had never met, suddenly appeared in your town. This time round, we made it so that each of the four players could designate certain close friends as ‘best friends’, and you can make it so only these ‘best friends’ can come and visit. What’s more, if you’re connected to the Internet at home, ’best friends’ can exchange messages without having to go to each other’s town. In previous titles, when you wanted to let a friend know you were planning to visit their town, you’d need to give them a call or send them an email. Now you can do that inside the game. information about the price of turnips 11.11. Turnips: Items used for investment purposes in Animal Crossing and available for purchase every week on Sunday morning. If the selling price exceeds what you bought them for, you will earn pocket money. So you were all interested in the price of the turnips you can buy on Sundays from Joan ? Even when people are connected online, there are players who still don’t really want to make the effort to visit someone else’s town. But I’d be happy if turnips inspired players to go and check out each other’s towns. But turnips don’t have to be the only reason. You could decide to hold a fishing competition. That’s right. Or you could meet up to exchange fruit. There are all sorts of opportunities. Come to think of it, in the edition of Nintendo Direct broadcast on 29th August last year, there was a kind of comic foreground of me, where you could put your face through an image and take a photograph. Well, I didn’t actually notice it until the video was completed. Well, when I saw that, I was amazed – I thought: “Wow, you can do things like that?” That would make another reason to visit another town. That’s right. Everybody can come up with their own designs. If there’s one that you like, you can stick your face through the hole and take a souvenir photo. 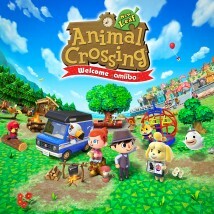 In Japan, the title of the game is Animal Crossing: Jump Out!, and I hope that everyone will have the opportunity to jump up, head out and visit other players, as that title suggests.